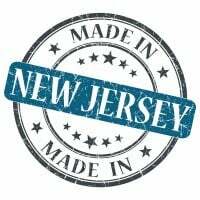 New Jersey Commercial Flood Insurance. Your business is one of your most prized possessions. You invest your time, money, blood, sweat and tears that you put into it. Because of this, you should take all the necessary measures to ensure that your business is covered against loss from the different types of risks. 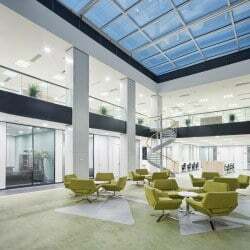 Getting a commercial property insurance is a great start. However, did you know that NJ commercial property insurance does not cover damage from a flood? Does your business need New Jersey commercial flood insurance? 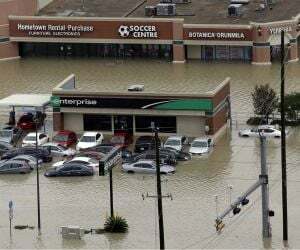 Commercial property insurance does not include flood coverage, so if your business located in or near a flood zone you should strongly consider it. FEMA usually requires a 30-day waiting period for new NJ business flood insurance policies. That means it's important to buy a commercial flood policy before a possible flood event is headed in your direction. Generally NJ commercial flood insurance covers damage to your building and contents caused by flood. This includes losses resulting from water from over flowing rivers or streams, rain, storm surge, snow melt, blocked storm drainage systems, broken dams or other like causes. To be considered a flood, waters must cover at least two acres or flood at least two properties. How Much Does New Jersey Flood Insurance Cost? Flood insurance premiums are determined by the chances of your business being flooded and how much flood damage can be done - up to the policy limits. The biggest factor in the premium is what NJ flood zone your business is in, followed by how much you want to insure. Flood insurance pricing is complex and you need to speak with an agent to get an accurate quote. The actual amount that will be covered depends on the value of the property and the extent of the loss. Those who are in low-risk flood areas end up paying lower premiums for New Jersey commercial flood insurance, while those in high-risk areas pay more. Also, the premiums can also be affected by factors such as the age of the building, number of floors and also the location of the contents in the building. Beyond knowing what your insurance will cover, it is also necessary to know what is not covered by your New Jersey commercial flood insurance policy. Most of flood insurance does not cover the loss of property outside your building. To add on that, if you take an insurance coverage provided by the NFIP, they do not offer Business Interruption coverage. This means that the insurance will not compensate you for the income losses suffered when the business was closed down. Request a free New Jersey Commercial Flood Insurance quote in Asbury Park, Atlantic, Bayonne, Beachwood, Bellmawr, Bergenfield, Bound Brook, Bridgeton, Camden, Carteret, Cliffside Park, Clifton, Collingswood, Dover, Dumont, East Orange, Eatontown, Edgewater, Elizabeth, Elmwood Park, Englewood, Fair Lawn, Fairview, Florham Park, Fort Lee, Franklin Lakes, Freehold, Garfield, Glassboro, Glen Rock, Gloucester, Guttenberg, Hackensack, Haddonfield, Hammonton, Harrison, Hasbrouck Heights, Hawthorne, Highland Park, Hillsdale, Hoboken, Hopatcong, Jersey, Keansburg, Kearny, Kinnelon, Lincoln Park, Linden, Lindenwold, Little Ferry, Lodi, Long Branch, Madison, Manville, Metuchen, Middlesex, Millville, Morristown, New Brunswick, New Milford, New Providence, Newark, North Arlington, North Plainfield, Oakland, Ocean, Palisades Park, Paramus, Passaic, Paterson, Perth Amboy, Phillipsburg, Pine Hill, Plainfield, Pleasantville, Point Pleasant, Pompton Lakes, Princeton, Rahway, Ramsey, Red Bank, Ridgefield Park, Ridgefield, Ridgewood, Ringwood, River Edge, Roselle Park, Roselle, Rutherford, Sayreville, Secaucus, Somers Point, Somerville, South Plainfield, South River, Summit, Tenafly, Tinton Falls, Totowa, Trenton, Union, Ventnor, Vineland, Wallington, Wanaque, West New York, Westfield, Westwood, Woodbury, Woodland Park and all other cities in NJ - The Garden State.